"The Aztecs were perhaps the most successful regime of terror the world has ever seen"
The Late PostClassic period (A.D 1200-1250) was the rise of a group of people called the Mexicas, better known as the Aztecs. They "were know among themselves and to their neighbors as Tenochca, Mexica, and Colhua Mexica, rather than Azteca," which strictly speaking, only applies to their ancestors of México at Tenochtitlan. The capital of the Aztec empire was Tenochtitlan. The word 'Aztec' was popularized through the literature of such writers as, William Prescott and Alexander von Humboldt. The Aztec ancestors had migrated to a place which was called, Aztlan, which was in the northwest. There patron god, Huitzilopochtli, had commanded them to leave there in 12th century A.D. As legend had it, at the end of a long nomadic journey, the Aztecs came to a site where they, "encountered an eagle with a rattlesnake in its beak perched on a cactus growing from a stone." It was there that they decided to settle, in Tenochtitlan (Cotterell 1980). The Aztecs were people who were had strong religious beliefs. They were cultured people who also had strong beliefs about their heritage. They carried their strength in the knowledge and worship of their pluralistic gods. Aztecs would often bring gifts to the capital Technotitlan to decorate and honor it. Some of these gifts were food, feathers, salt, arrows and luxuries from trade. Religious activities were mainly focused on or within the temples. These walled precincts contained dorms, schools, sacred pools, altars, gardens, arsenals, and ball courts. These temples usually contained the shrine to the deity in which it was dedicated to as well. This civilization had outstanding craftsmen and sculptors. A period of expansion and prosperity occurred during the rule of Moctezuma, who was ruler when the Spanish overthrew the Aztecs, leaving them vulnerable. When their lands were threatened and taken away from them, many Aztec families became nomadic. The Aztecs were proud of their people and of their land, but because of their hardships, survival became their main concern. (Boone 1994). Prophecies are histories of possible futures, and they can easily be misinterpreted by wishful thinking, or misused for political and religious purposes. They also tend to be self-fulfilling. The Spanish conquest of the Aztec empire is a perfect example of this problem. Nezhaulcoyotl, a king of Texcoco whose reign bridged the 15th and 16th centuries, also was a great astrologer. He had an observatory built on the roof of his palace, and invited other astrologers in his kingdom to come to his court. There he disputed with them and taught his wisdom. When Moctezuma II was elected king of Mexico, Nezhaulcoyotl praised the nation for having chosen a ruler "whose deep knowledge of heavenly things insured to his subjects his comprehension of those of an earthly nature." 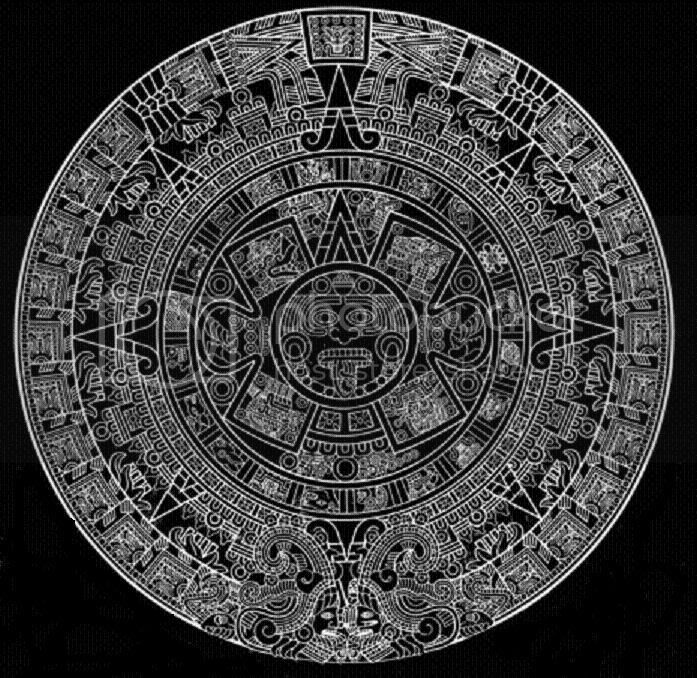 Nezhaulcoyotl gave Moctezuma II detailed warnings of a new astrological age that was beginning in the Aztec calendar. One of the omens was a famine which developed in 1507. Then an earthquake occurred after the "Lighting of the New Age" ceremony inaugurated by Moctezuma II. These were sure signs of impending disaster. Each year thereafter until Hernando Cortes invaded Mexico in 1518, a new omen appeared. A comet with three heads and sparks shooting from its tail was seen flying eastward. In another year, another comet, described as "a pyramidal light, which scattered sparks on all sides, rose at midnight from the eastern horizon till the apex reached the zenith, and faded at dawn." This phenomenon appeared for 40 nights, and was interpreted to presage "wars, famine, pestilence, and mortality among the lords." In 1508, Moctezuma II visited Tlillancalmecatl ("Place of Heavenly Learning"), where he was given a rare bird. In its shiny crest, he saw the stars in reflection and "fire sticks" (guns). The image changed to show the advance ofwarriors riding on horses which, since he had never seen them before, he described as deer. Also in 1508, Moctezuma's sister Paranazin collapsed into a cataleptic trance that was mistaken for death. She recovered while the funeral procession was taking her to the royal crypt. She said that during her trance she received a vision of great ships from a distant land arriving with men bearing arms, carrying banners, and wearing "metal casque"" (helmets). The foreigners were to become masters of the Aztecs. For several days in 1519, a comet hung over the capital city of Tenochtitlan. It was described as "a rip in the sky which bleeds celestial influences dropwise onto the Aztec world." After that, a thunderbolt struck and burned down the temple of the deity Huitilopchitli. The last omen came one night, again to Tenochtitlan. A woman's voice was heard "coming from everywhere and nowhere... crying 'My children, my children, are lost!'" From these and other signs, the Aztecs understood their doom as originating with celestial powers. Was it then mere coincidence, or did the hands of the Fates steer Cortes’ ships to land on April 22, 1519, the very day that the Aztec calendar calculated for Quetzelcoatl’s return at the end of the 13th Heaven and the beginning of the 9 Hells? It was as though the directing forces of the world had staged the drama to be acted out by historical characters. Anticipating the momentous event of Quetzelcoatl’s return, Moctezuma II had posted watchers on the coast to draw images of the aliens and deliver them to him. The emperor was amazed that the light-skinned, bearded figures matched the traditional descriptions of Quetzelcoatl. This case of mistaken identity caused the Aztecs to put up little resistance to the Spaniards, who soon conquered the empire. To prevent mutiny among his troops, Cortes burned the ships after they landed. The cavalry-mounted Spanish forces then quickly defeated several local tribes who resisted their invasion. When their chiefs sued for peace, Cortes gave them his helmet and commanded them to take it to the emperor and return it filled with gold. The helmet itself was an object of wonder to the Aztecs: it was almost identical to that worn by the great deity Huitzilopochtli. Marveling at the similarity, the emperor returned the helmet, filled with gold and accompanied by a warning to come no closer. But the Spaniard's greed for gold and dominion drew them inexorably toward Tenochtitlan. Though nearly overwhelmed with superstitious fear of the mythic Quetzelcoatl, Moctezuma II is said to have greeted Cortes at the city gates with the words: "O Lord, with what trouble have you journeyed to reach us, have arrived in this land, your own country of Mexico, to sit on your throne, which I have been guarding for you this while; I have been watching for you, for my ancestors told that you would return. Welcome to this land. Rest a while; rest in your palace." Although he was outnumbered militarily by more than 1000 to 1 (Moctezuma's palace guard alone was larger than Cortes' expedition), Cortes boldly accepted the offer. In the course of ensuing events, the Spaniards seized Moctezuma II and displayed the captive king to his subjects. Reacting in anger, the people stoned and fatally wounded him. The Aztec empire fell soon afterwards. "To the world I have said farewell. I see its vanities go away from me one by one.. Last in the train and most loved, most glittering is power, and in its hands I see my heart. A shadow creeps over me, darkening all without, but brightening all within, and in the brightness, lo, I see my people and their future! "The long, long cycles, two, four, eight, pass away, and I see the tribes newly risen, like the trodden grass, and in their midst a Priesthood and a Cross. An age of battle more, and lo! There remains the Cross, but not the priests; in their stead is Freedom and God. "I know the children of the Aztecs, crushed now, will live, and more after ages of wrong suffered by them, they will rise up, and take their place --- a place of splendor --- amongst the deathless nations of the earth. What I was given to see was revelation. Cherish these words, O Tula; repeat them often, make them a cry of the people, a sacred tradition; let them go down with the generations, one of which will, at last, understand the meaning of the words FREEDOM And GOD, now dark to my understanding; and then, not till then, will be the new birth and new career." "After Thirteen Heavens of Decreasing Choice, and Nine Hells of Increasing Doom, the Tree of Life shall blossom with a fruit never before known in the creation, and that fruit shall be the New Spirit of Men." In the mythology of the Aztecs, the first age of mankind ended with the animals devouring humans. The second age was finished by wind, the third by fire, and the fourth by water. The present fifth epoch is called Nahui-Olin (Sun of Earthquake), which began in 3113 BC and will end on December 24, 2011. It will be the last destruction of human existence on Earth. The date coincides closely with that determined by the brothers McKenna in The Invisible Landscape as "the end of history" indicated by their computer analysis of the ancient Chinese oracle-calendar, the I Ching. The Mayan calendaris divided into Seven Ages of Man. The fourth epoch ended in August 1987. The Mayan calendar comes to an end on Sunday, December 23, 2012. Only a few people will survive the catastrophe that ensues. In the fifth age, humanity will realize its spiritual destiny. In the sixth age, we will realize God within ourselves, and in the seventh age we will become so spiritual that we will be telepathic.